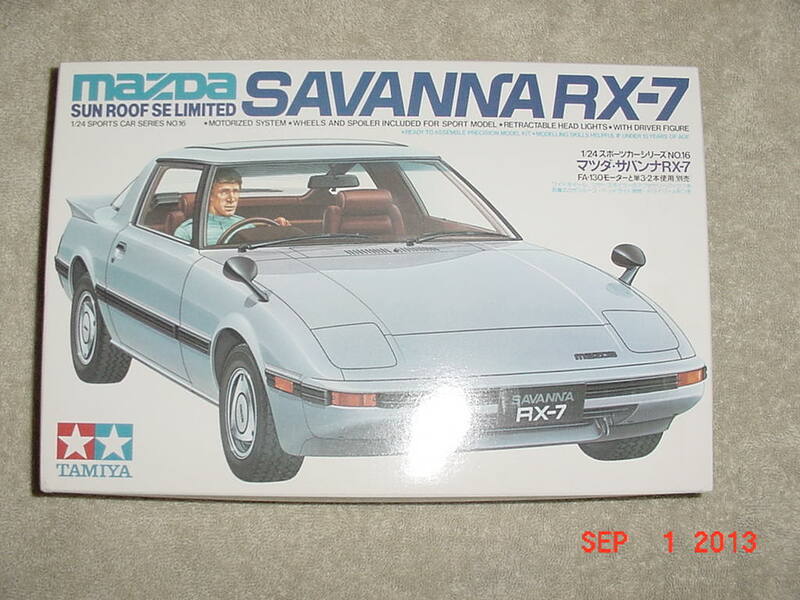 MAZDA RX-7 SAVANNA, SE Limited, with SunRoof, motorized, with driver figure. 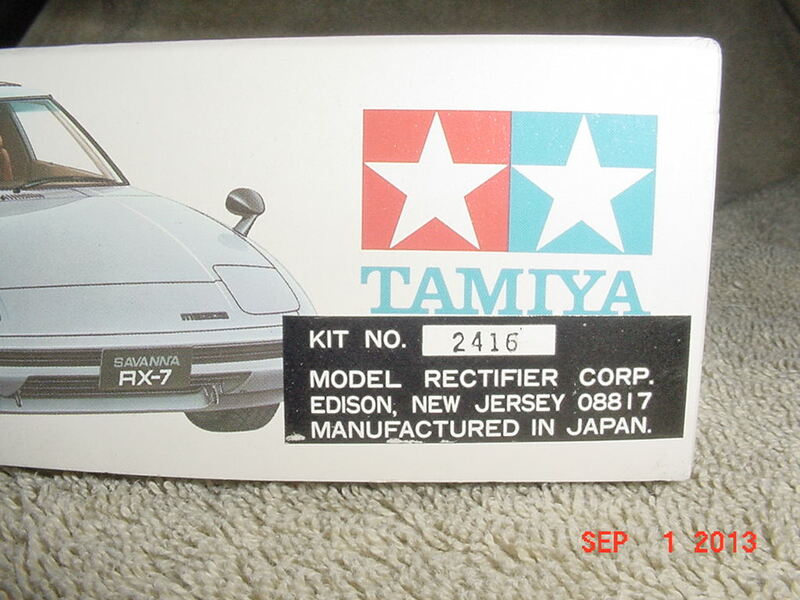 This is the only model ever released of the 1981 to 1985 RX-7. Has both a solid and clear sunroof, with decal for tinting. Has rear wiper, optional rear spoiler, electric motor, retractable headlights, rotor style wheels and Speed Star Mk. III racing wheels. 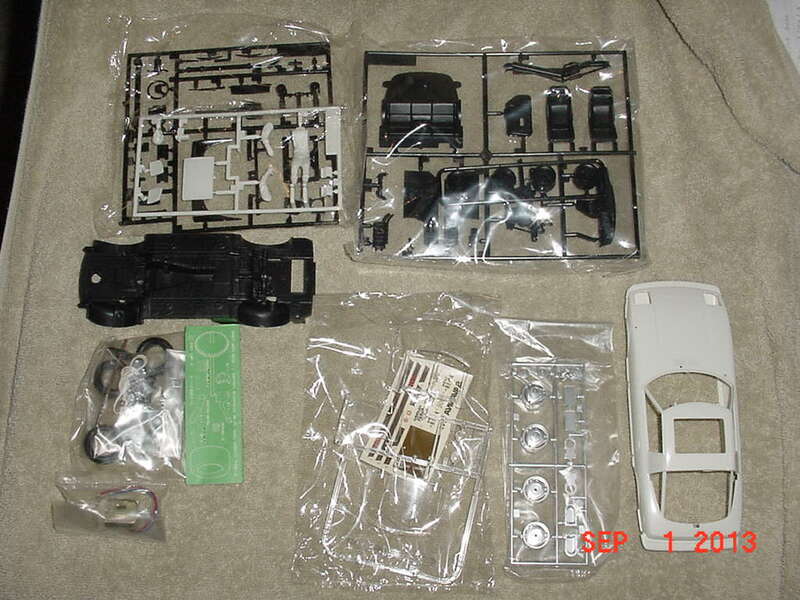 NEW IN PACKAGE, COMPLETE, NO MISSING PARTS. 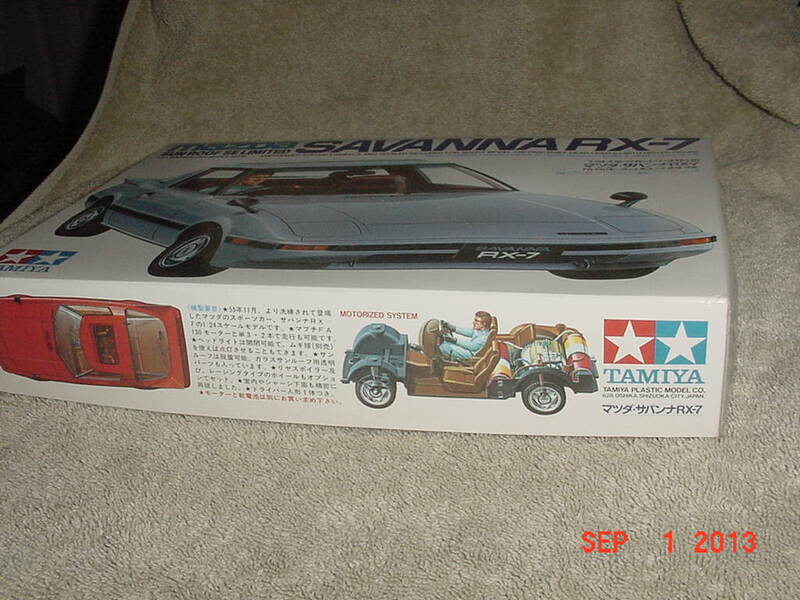 This model has been out of production since 2002. 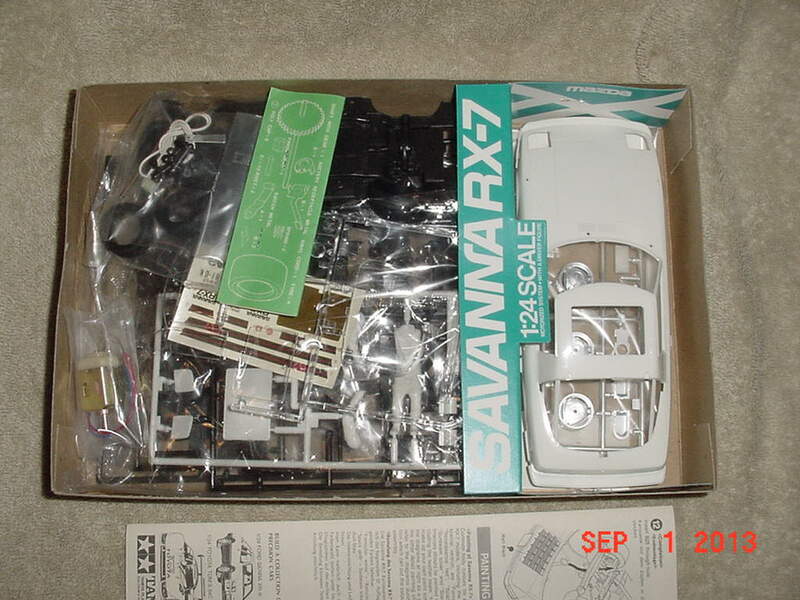 Box condition is excellent, with no price stickers.